Did you see Timothy Taylor's Boltmaker had taken the 2014 Champion Beer of Britian crown? 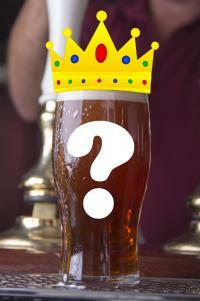 So, how does CAMRA's Champion Beer of Britain get chosen? It starts with votes from CAMRA members and voting is open right now until 30th November. You can vote for up to 5 nominated beers in the 11 different flavour and style categories. Colchester CAMRA's members vote in the East Anglian stage of the competition so you'll find many of our local brewers - and their beers - represented in the list. Login at www.cbobvoting.org.uk. You username is your membership number, your password (unless you've already changed it) is your postcode (all in captials, with no space). Pick up to 5 beers in each category. You don't have to nominate 5 beers, or complete all the categories so don't be put off from voting because you don't like or drink a particular beer style. Do take care not to pick the same beer twice in the same category - the voting site won't stop you and it'll spoil your vote. Once you've voted you can log back in and change your mind at any time, up to the 30th November.